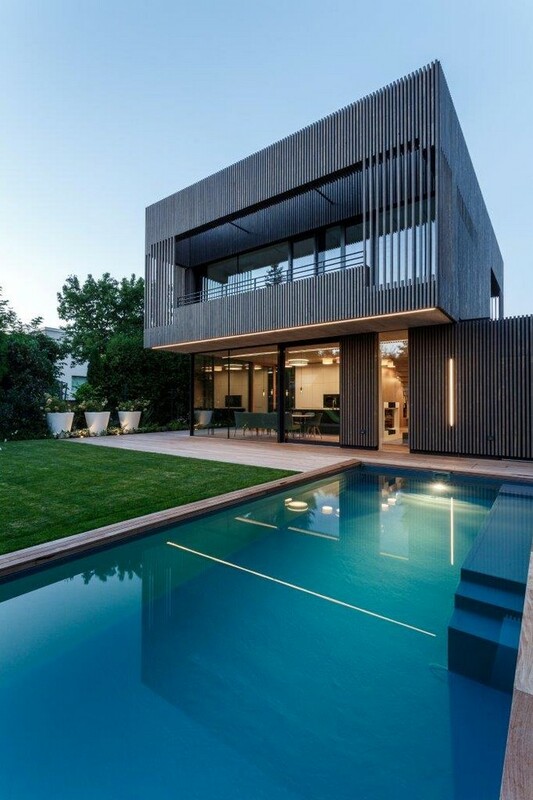 We’ve selected what we feel are the key examples of Austrian Houses. We aim to include houses in Austria that are either of top quality or interesting, or ideally both. 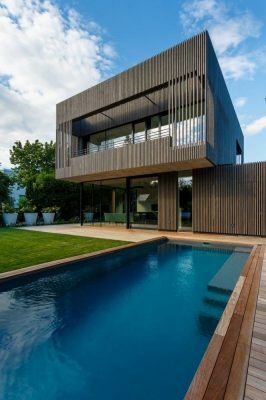 We cover completed Austrian houses, new house designs, architectural exhibitions and architecture competitions across Austria. Located on the periphery of the city, the plot of land offers a spectacular view of Linz, as long as one builds high enough to be able to gaze over the neighbouring properties. Set within the scenic mountain panorama of upper Styria, Austria, the “Deluxe Mountain Chalets” serve as an extension to the numerously awarded high- end restaurant “Wirtshaus Steirereck”. The villa is L-shaped and aligned to the south-west featuring generous glazing to the porch in front of the house and a garden with water areas. The light hill-side location, the expanded ground floor facing the street and the carport form a generous forecourt and entrance hall. 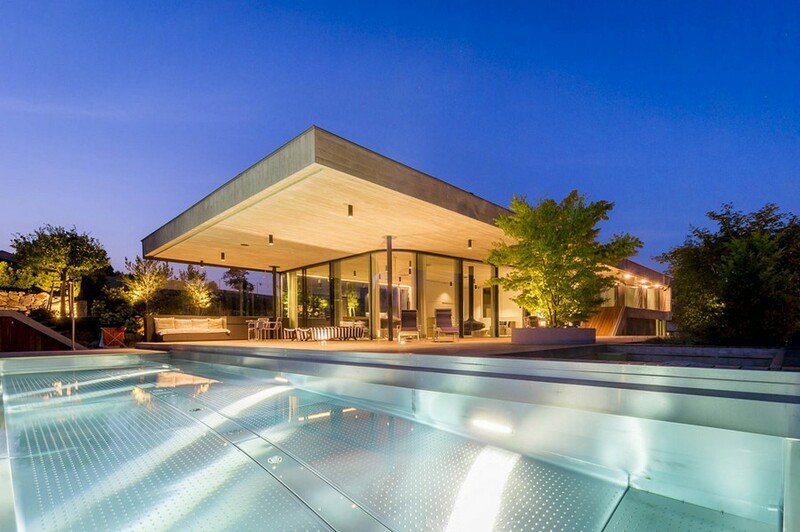 The property is located on a steep slope at the foot of pöstlingberg in the immediate vicinity of the danube. like all buildings along this residential estate’s main street, its width amounts only to 21 m. some of the neighbouring structures extend almost to the property’s boundary; therefore an orientation towards east and west was of lesser importance. 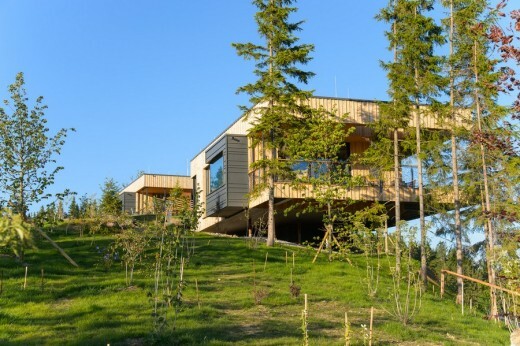 The new home for a young family is harmoniously placed into the hilly landscape. The traditional and typical L-shaped floor plan of the region was developed further in an imaginative and thoughtful way advancing modern home, energy and living concepts. The L-House is an avant-garde architectural gem that merges the needs of it’s residents with the environment.